Strawberry is one of those crops with high input costs and labor is one of the major expenses in strawberry production. 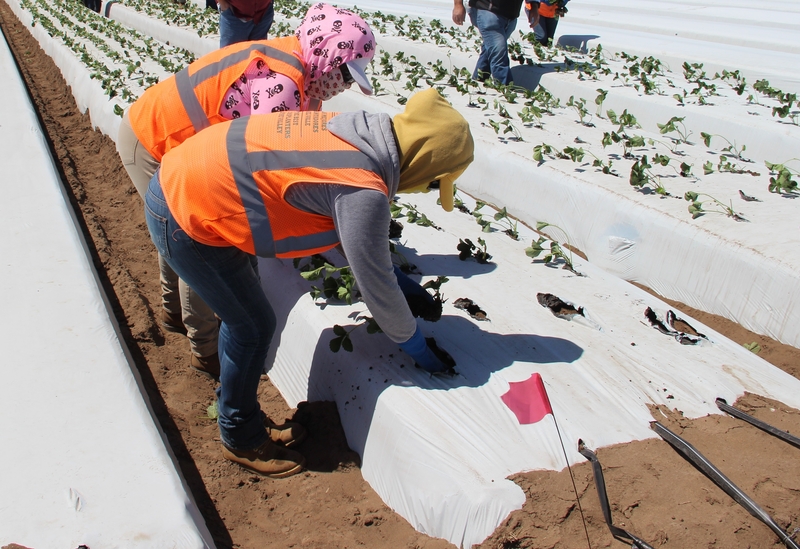 Both nursery and fruit production operations require a high volume of manual labor for planting, tending to the plants, processing of transplants or harvesting fruits. 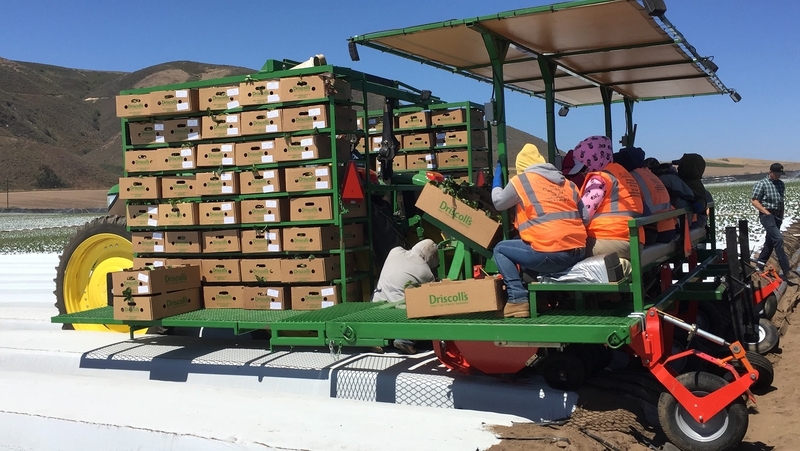 Shortage of skilled farmworkers is a major challenge that strawberry industry is currently facing and it is even a bigger problem for summer planting when help is also needed for fruit harvesting from previous year's fall plantings. 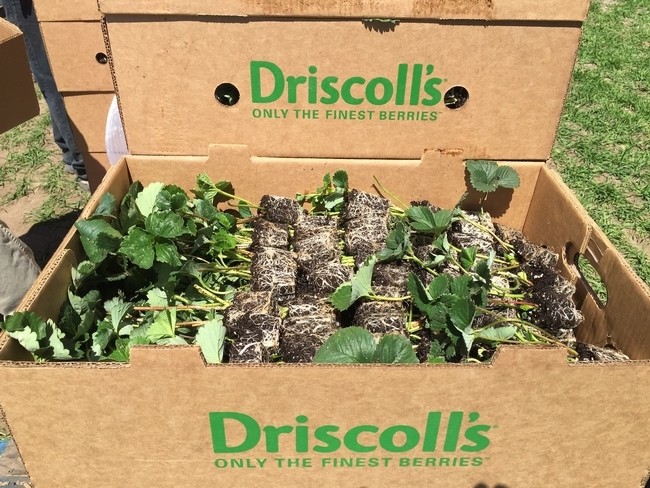 Driscoll's, known as the largest berry producer in the world, developed a strawberry transplanter, which is a significant advancement in mechanization of transplanting, one of the two major manual operations in the strawberry production. Driscoll's team demonstrated their 3-bed transplanter to some growers on June 20, 2016 in an organic strawberry field in the Santa Maria area. 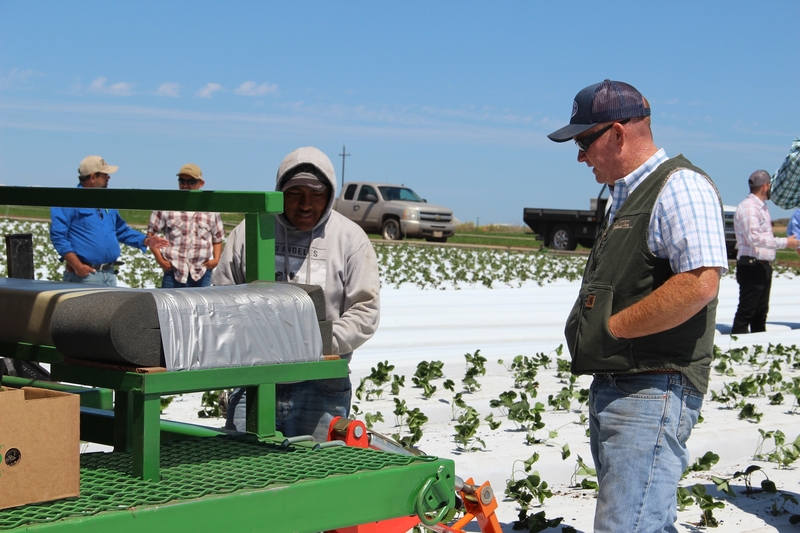 Chris Jenkins, Product Specialist at Driscoll's conceived the idea and worked with Chris Waldron at Plantel Nurseries and Matt Phillips at Solex in developing the first mechanical strawberry transplanter. Tim McDonald at Guadalupe Hardware also helped in this development. 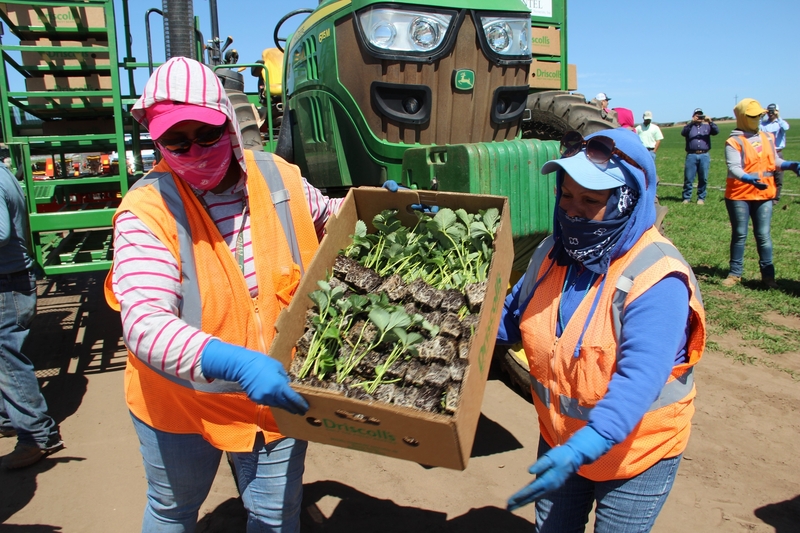 They experimented first with their 1-bed transplanter in Februrary, 2016 using celery transplants, which were grown to represent the strawberry transplants that would be available in June. In the meantime, they developed a 3-bed transplanter in the next few months. On June 10, Driscoll's planted 10 acres of strawberries using their new 3-bed transplanter. 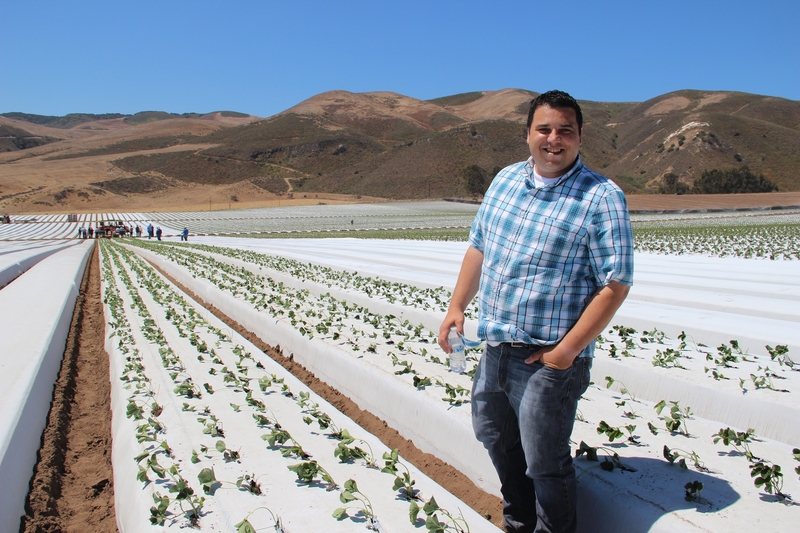 The bulk of the misted tips are being propagated locally in standard nursery greenhouses in Nipomo. Efficient and uniform transplanting that requires less time and manpower. Avoidance of human errors in planting depth, j-roots, and other such issues in manual planting of bare root transplants. Misted tip transplants actively growing and are not dormant like bare root transplants. They are also in an advanced growth stage compared to bare root transplants and will likely start fruit production 2-3 weeks earlier than the latter. Once separated from the mother plants, it takes about 6 weeks for the misted tip transplants, while several months of field production and refrigeration are required for bare root transplants. 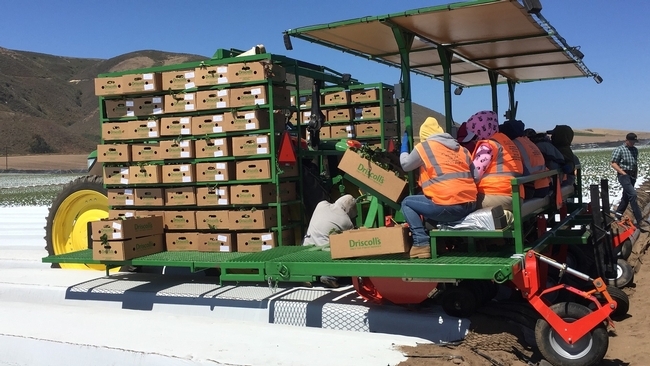 Local production of misted tip transplants is more likely to adjust to grower needs and probably has a better control over producing uniform and good quality transplants that can be easily supplied without long distance transportation. It is less likely to have soilborne diseases from misted tip transplants compared to the bare root transplants from a traditional infield nursery. According to Chris Jenkins, fruit yields from misted tip transplants were nearly twice as much as the yields from bare root plants in their 2015 study. 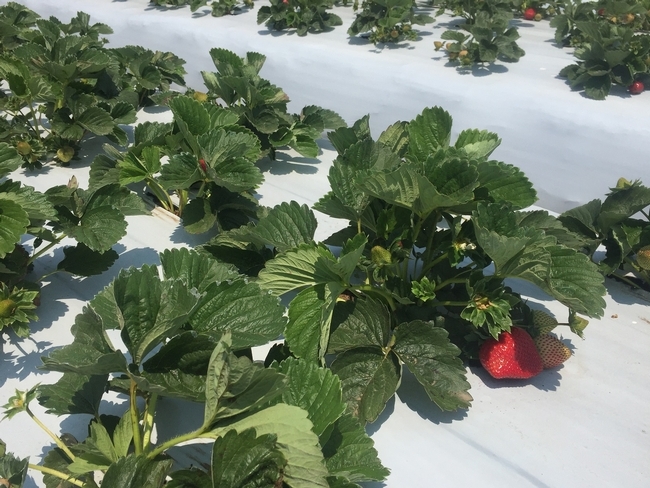 Uniform planting, better plant health, and early fruit production could have contributed to higher yields from the misted tip plants. 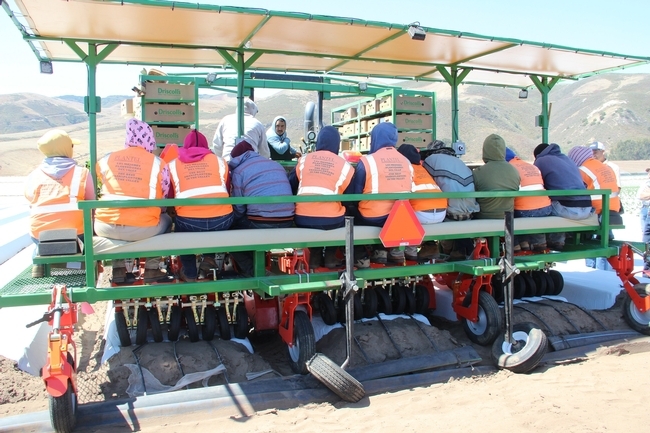 Development of the strawberry transplanter is a major improvement to the strawberry production technology with a significant contribution to the labor shortage issue. Yields from misted tips were nearly TWICE that of bare root transplants? Say what?! You have any data to back that up? It is a Driscoll's study, Mark! I am sure they have data to back that up. Surendra - You want to work some of your magic and see about getting that data? Thing about having DOUBLE the yield with misted tips is that it changes the economics of the whole thing. When we worked with misted tips a few years ago as an organic transplant alternative, they ran us about $1.50 a plant, which didn't even come close to a bare-root plant which costs around $0.14. What's more, with similar yields we found to the bare root, the buck and a half you pay for the plant is about what you are going to yield in fruit in the average organic situation. It's a non-starter because you lose money right out of the gate. Now, if you have DOUBLE the yield of the bare root, it changes the perspective a lot. 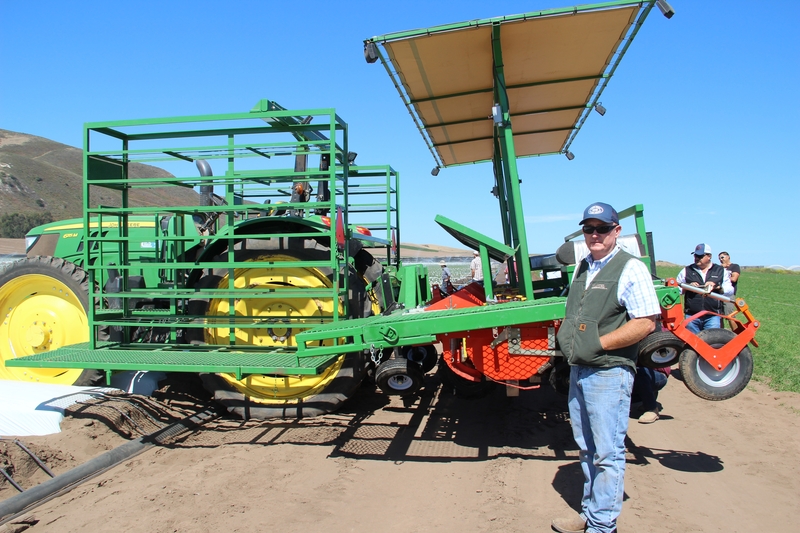 Plus, with the savings you are getting on your planting costs from using this rig things are really moving in the right direction economically. Probably still not in the same range as bare root, but I'm pretty sure we are in the early innings here. It's a big deal, I'd love to see the data.